This campaign has ended, but you can still support amazing field trips for EPSS students by clicking here. "The anticipation was high," Professor Paul Davis later wrote. In March 2018, roughly 2 months before the Kilauea Volcano erupted, 11 UCLA Geophysics students and 2 instructors convened at LAX. The junior and senior geophysics majors at UCLA were on their way to Hawaii to conduct field work. The data collected would become the backbone of their Spring Quarter studies, and a culmination of years of academic learning being applied to real-life scenarios. 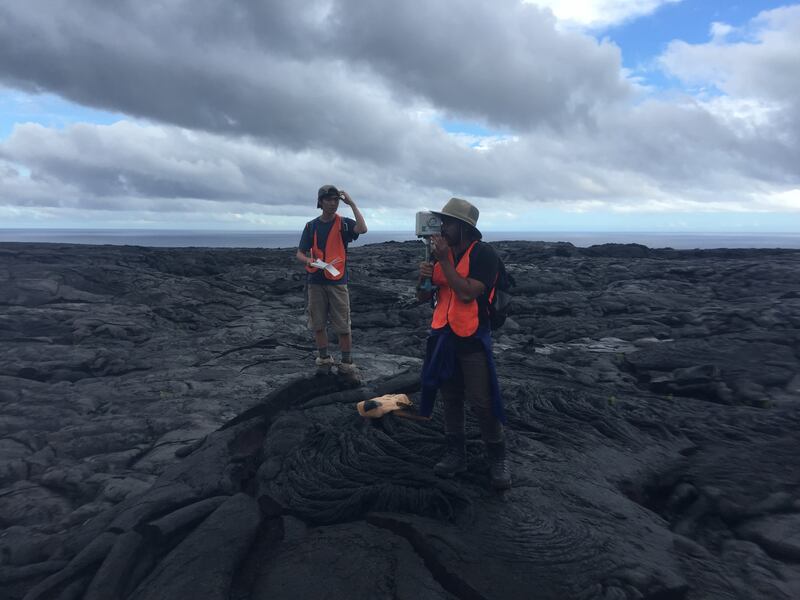 Student field trips to sites like Kilauea Volcano, Arizona's Meteor Crater, and other geological research sites take academic study to a "eyes-on and hands-on" new level. Unfortunately, the lack of available university resources limit opportunities for these types of once-in-a-lifetime learning experiences. Which is why we're turning to you. For the UCLA students who are lucky enough to secure a spot on these trips, the excursions aren't exactly a free vacation. Instead of staying in luxury resorts or hotels, the EPSS students sleep at the Kilauea Military Camp in bunked dorms. There is no pig roast or luau; the team wakes up at 5 AM to eat a quick breakfast in the Military Camp cafeteria before heading out to research for the entire each day, rain or shine. Over the last 10 years, over 250 UCLA alumni have had the opportunity to study in the field. 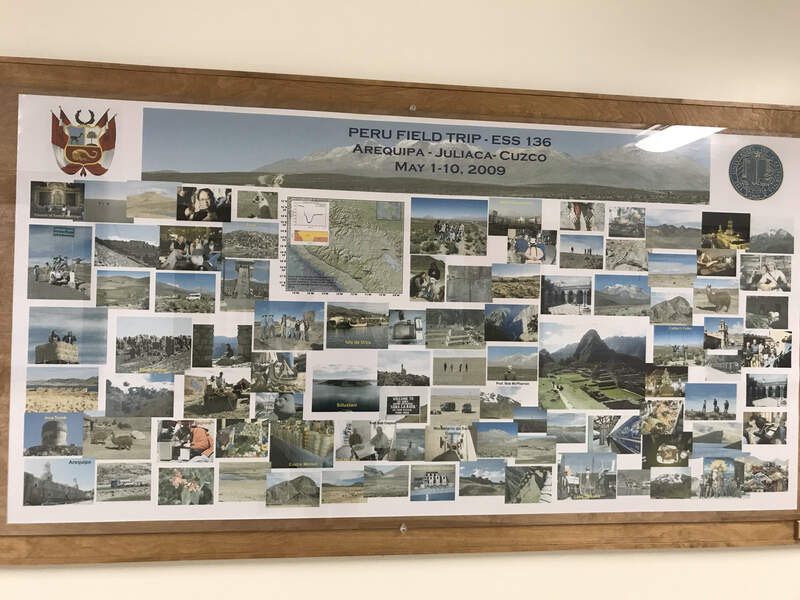 To ensure that future UCLA students will have the same life-changing opportunities for field studies around the world, EPSS hopes to raise at least $20,000 to cover housing, transportation, and equipment for field trips. Airfare to Hawaii, room & board, food, and local transportation costs approximately $1,500 per student. Other daytrips offered by UCLA EPSS, like to Meteor Crater in Arizona, cost much less at around $200 per student. 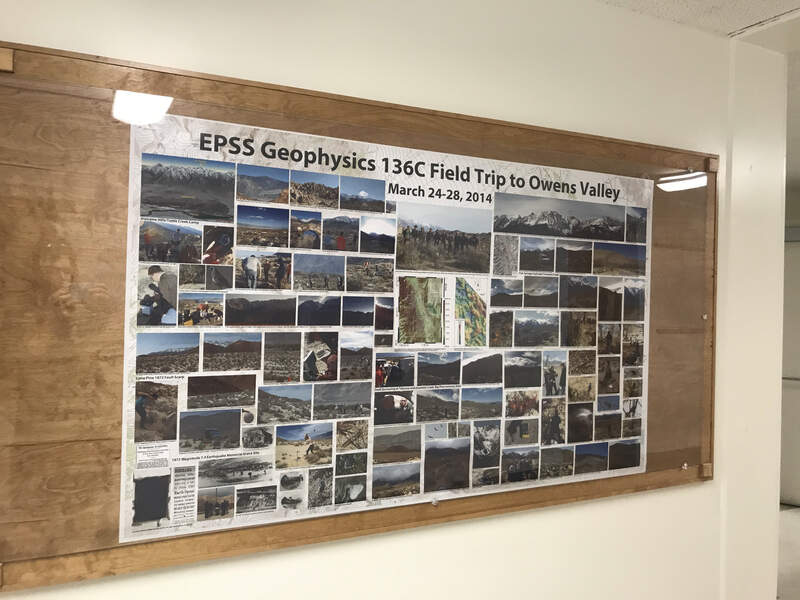 Your support, combined with that of others, will be send EPSS students out of the classroom and into the world, where they will have the opportunity to study, research, and perhaps ultimately help ultimately help predict and mitigate natural disasters. This project is not just about funding field trips. It's about giving the next generation of UCLA Geophysicists the inspiration to advance science and providing them with the training needed to address some of the biggest questions about the world we live in. For example, by understanding the behavior of active volcanoes, the UCLA students you support may one day help save lives by predicting future eruptions, earthquakes, tsunamis, or other impending natural disasters (like THE BIG ONE). Their experiences in the field as students can eventually lead to the geological knowledge which could save hundreds or thousands of lives. Your gift today can even have interplanetary applications! Observation of Meteor Crater can help scientists understand and calculate the impact hazard that falling space debris or meteorites might have on Earth. Studying the basalt-rich lava fields around Kilauea teaches humankind a lot about Mercury, Venus, and Mars, whose surfaces are mostly composed of basaltic rocks. UCLA EPSS has a history of organizing trips that are partially funded by donors. Previous classes of Bruins have visited research sites along the San Andreas Fault on the Carrizo Plain in central California; Long Valley Caldera, near Yosemite; an area that stretches from Acapulco on the Pacific coast to Tampico on the Gulf coast of Mexico; the Andes in Peru; and Mount Etna in Sicily. Our long-term and eventual goal is to endow this program so that UCLA students will always have the opportunity to research around the world alongside EPSS faculty. If you're interested in giving students from the Department of Earth, Planetary, and Space Sciences field opportunities for years to come through a major gift please contact Sharon Chang at schang@support.ucla.edu . All gifts to Earth, Planetary, and Space Sciences, no matter their size, help the Department maintain and strengthen its international reputation for excellence, as well as its role in the community as a source of information. $25 makes a difference to us, because it can feed a student for an entire day. Thanks for your donation! Donations of all sizes add up and come together to form unforgettable experiences for UCLA students. To thank you for your gift, we'll include your name in a group shout out on the UCLA EPSS Facebook page. Donations of $100 can be used to secure safe accommodations for Bruins on the road! To thank you for your gift, we'll give you a personal shout out on the UCLA EPSS Facebook page. Donations of $500 can be used in so many ways, like covering most of a student's airfare to a research site or enabling the purchases of field equipment. To thank you, we'll send you a personalized thank you video from the research site in Hawaii! With your leadership donation of $1,000, one student is well on their way to a once-in-a-lifetime journey of undergraduate field research. Your gift can support airfare to get UCLA students where they're going, so to thank you for your amazing gift, we'll send you a personalized thank you video from the research site. Then, you'll be invited to the final research presentations back at UCLA in Spring 2019 as a guest of honor. Your generous donation of $1,500 can fund one student's ENTIRE field research experience in Hawaii! To thank you for your donation, we want to take you along on our journey every step of the way. EPSS students will send you a personalized thank you video from the site of our research and invite you to their research presentations back at UCLA during the Spring 2019 quarter. Plus, you'll have the opportunity to sit down with the Chair of EPSS, Dr. Margot, for lunch at the UCLA Luskin Conference Center.